The Osborne ACCU-ARM wall scale securely fastens directly to the wall and folds down from a trim storage position to accept animal transport carts or feed carts. With the included animal enclosure, pigs, sheep, and goats can easily be loaded and unloaded efficiently and stress-free. The solid, animal-friendly scale uses precision levers to reduce sway and bounce and is completely cable free! 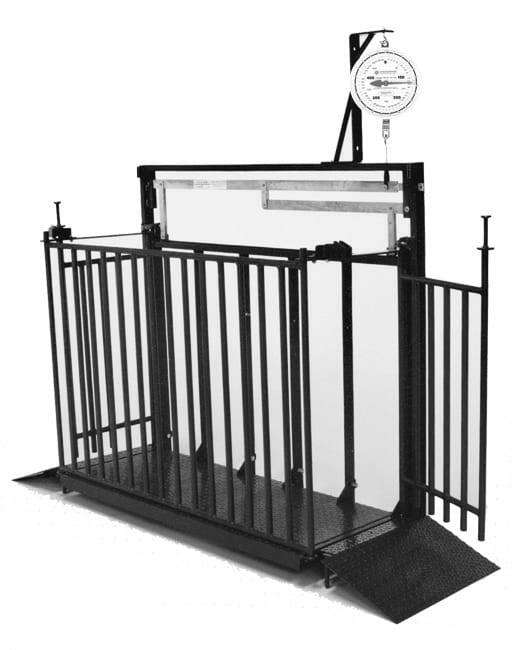 This discontinued scale features an 24-inch wide animal enclosure, standard opening gates and ramps in the front and rear, and a mechanical, instant-read weighing system (FS-00D500). The scale platform is 21.5 in. (53.3 cm) wide and 51 in. (129.5 cm) long. Weighs animals up to 500 lbs. (227 kg). Install level and plumb to avoid binding. Painted steel. Features Instantly displays weights in lbs. and kg. 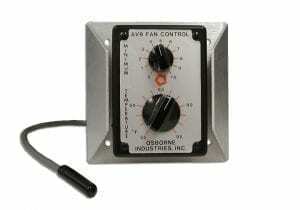 * Mechanical, instant-read dial with counter weight is included with this scale.